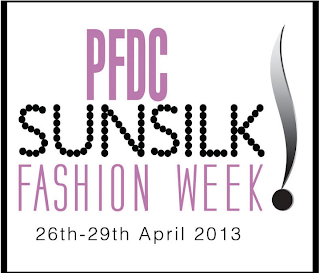 [Lahore: 23rd April 2013] The Pakistan Fashion Design Council and Sunsilk reveal the four-day show schedule and partners for PFDC Sunsilk Fashion Week 2013 due to take place in Lahore from 26 - 29 April 2013. As announced earlier this April 2013, with their 6th consecutive prêt a porter Fashion Week, PFDC Sunsilk Fashion Week 2013 will be showcasing a diversity of Luxury/Prèt collections from 47 designers, brands and textile houses over a period of 4 days, defining and presenting trends for 2013, focusing specifically on the regions' long hot summer months. Presenting Luxury Prèt collections at PFDC Sunsilk Fashion Week 2013 are: Tapu Javeri, Misha Lakhani, FnkAsia, Élan, Sublime by Sara, Akif Mahmood, Sania Maskatiya and Maria B on Day-1; Shehla Chatoor, Somal Halepoto, Ayesha F. Hashwani, Nickie Nina, Feeha Jamshed, Yahsir Waheed, Asifa & Nabeel and Fahad Hussayn on Day-2, Rizwan Beyg, Zonia Anwaar, Nida Azwer, Nokia Presents Mohsin Ali, Sana Safinaz, Layla Chatoor, Adnan Pardesy and Karma on Day-3; Faiza Samee, Maheen Karim, ZONG Promotes Emerging Talent, Ali Xeeshan Theater Studio, Khaadi Khaas, Muse, Wardha Saleem and HSY on Day-4. Furthermore, the PFDC is also holding 3 days of afternoon designer-textile mill voile shows featuring: ChenOne’s Pareesa Lawn Collection 2013 designed by Sahar Atif, Kayseria and Sitara Textiles menswear on Day-1, Ittehad Textiles, Sitara Textile womenswear, Moon Textiles and Lala Textiles on Day-2, Lakhany Silk Mills, Shariq Textiles, Nimsay Redefining Style by Nimra Textile and Firdous Textiles on Day-3 of PFDC Sunsilk Fashion Week. The 6th PFDC Sunsilk Fashion Week also marks the exciting new addition of an afternoon High-Street Fashion Showcase featuring; MK Nation by Karma, Kayseria Prèt, COCO and Adnan Pardesy for The Working Woman on Day-4, highlighting contemporary affordable ready-to-wear apparel. The success of PFDC Sunsilk Fashion Week has prompted private sector associates to use the platform to launch new products, marketing campaigns and promotional activities. This year, Sunsilk will be unveiling exclusively designed collectible shampoo bottles in collaboration with Pakistan’s leading designers, in addition to facilitating the red carpet, green room and backstage areas at the event. Leading skincare brand Pond’s will be invigorating the red carpet with its Reveal Lounge. Media lounge hosts and associate sponsors ZONG will be collaborating with PFDC to promote rising talent through the “ZONG Promotes Emerging Talent” show on Day-4 featuring: Arooj Ahmed, Daniyal Mubarik, Hamza Bokhari, Mahgul Rashid, Mohsin Ali and Schehrezade Sohail Muzammil. Indeed, this initiative of PFDC and ZONG is anticipated to benefit the industry in the long term and help unearth aspiring Pakistani fashion talent. Associate Sponsor Nokia will also present a Nokia Lumia inspired fashion segment with fashion designer Mohsin Ali on Day-3 of the event. In addition to being a beverage partner, Diet Pepsi will be facilitating the live video streaming of the event worldwide. Popular food brand Magnum will be installing and operating a custom-made “Magnum Bar” during the 4 day fashion showcase. PFDC’s official bank, Bank Alfalah, will be operating a custom-designed VIP lounge with Dunhill hosting a lounge of their own at the Fashion Week. With Daraz.pk as the associate sponsors, all these unique activities are first-time endeavours undertaken at PFDC Sunsilk Fashion Week and are demonstrative of the growing acclaim the platform has attained. PFDC has also invited Carol Hanlon, a world renowned agent and industry expert from Australia, to hold a seminar for students from the Pakistan Institute of Fashion Design [PIFD], National College of Arts [NCA] and Beaconhouse National University [BNU] to be held at PIFD and then another one for participating designers and brands at Expo on “Growing a Fashion Business” focusing on the commercial aspects of fashion. 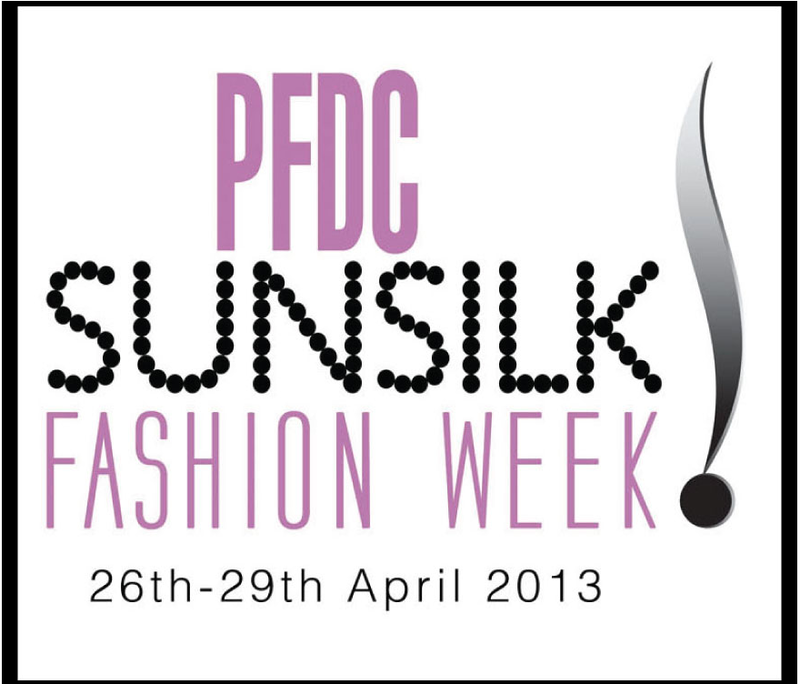 PFDC Sunsilk Fashion Week 2013 will be styled by the teams at Nabila, Toni & Guy, Maram & Aabroo and Khawar Riaz. Show production and choreography is by HSY Events, front stage management by Maheen Kardar Ali, backstage management by Maria Baig, Sara Shahid of Sublime by Sara as the official spokesperson for the PFDC, logistics and operations by Eleventh Retail and photography by Faisal Farooqui and the team at Dragonfly. Foreign media management will be handled by Latitude and national PR by Lotus Client Management & Public Relations.